The Linux and Mac OS X 3D Video player Bino now is also compiled and available as a Windows build with an installer, so no need to compile it yourself to try it on Windows. There is also a new plugin available for the Bino 3D video player for people using the XBMC multimedia center software that adds support fro playing back 3D videos directly from the XBMC software. 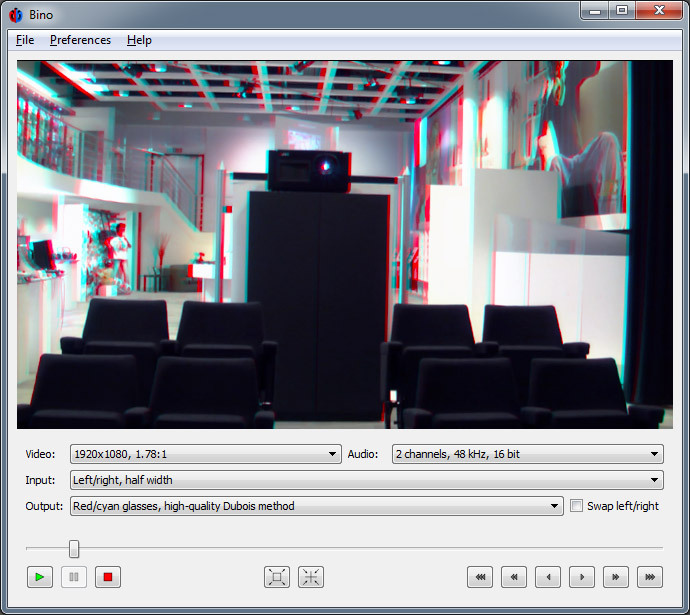 Just a reminded that the Bino player is not currently compatible with 3D Vision, although the player does support OpenGL Quad Buffer Stereo on compatible video cards, and it can also play using anaglyph, interlaced or Side by Side output.